Vietnamtourism - Hanoi Joint Stock Company is planning to launch a new double-decker bus tour on October 10. The second city bus route will operate from 9am to 5:30pm daily at 30-minute intervals. Along the 14.8km route from Dien Hong Park on Ngo Quyen street, there will be 10 stops for tourists to hop-on and hop-off. The company is yet to announce ticket prices but confirmed that prices would not be subsidised to ensure the company makes a profit. 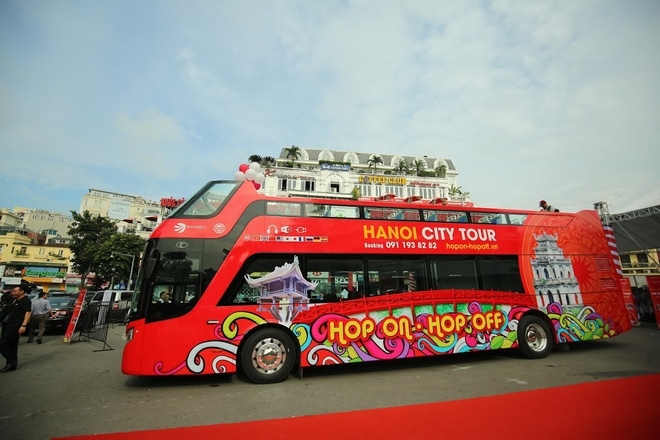 On May 30, Hanoi launched its first double-decker city tour, with hop-on and hop-off at 13 stops, running through 25 streets and taking tourists to 30 destinations in the city. The buses run every 30 minutes from 9am to 5pm, and are equipped with an automatic multi-lingual system in Vietnamese, English, Chinese, Japanese and Korean. The first city tour bus service provided by the Hanoi Transport & Services Corporation offers four-hour tours starting from 300,000 VND (US$13.3), 450,000 VND (US$20 USD) for 24 hours and 650,000 VND (US$28.8 USD) for 48 hours. 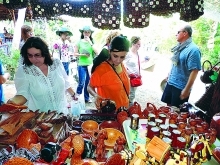 According to the municipal Department of Tourism, the capital city welcomed an estimated nearly 20 million tourist arrivals in the first nine months of this year, or a year-on-year rise of 9.2 percent. Of the total, foreign visitors are estimated at 4.3 million, up 20 percent year-on-year, and accounting for nearly 40 percent of the total number of foreign tourists to Vietnam.